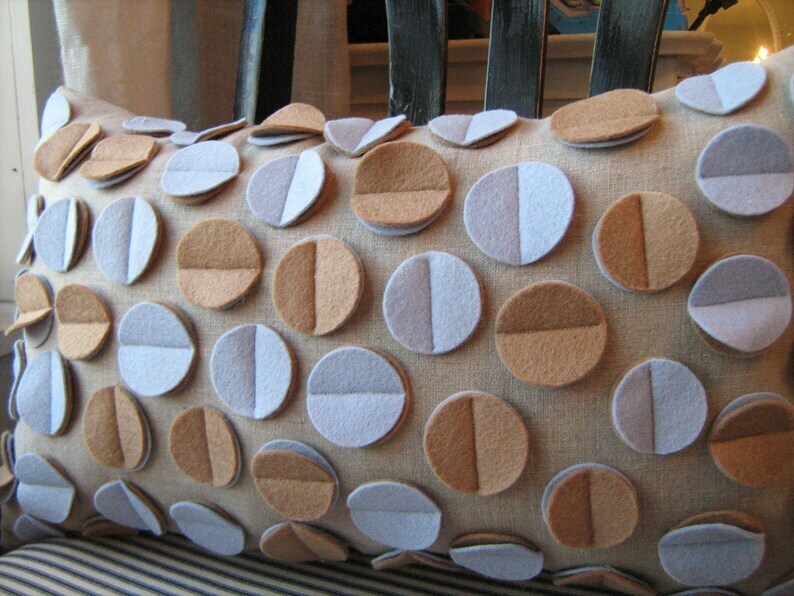 A wonderfully fun and textural pillow made from oatmeal linen and wool felt circle discs. Sewn on top of eachother, in alternating ways makes for a 3-D like texture that you have to feel! Discs are done in a lovely seafoam blue and khaki. Measures approx. 16 inches long by 12 inches high.